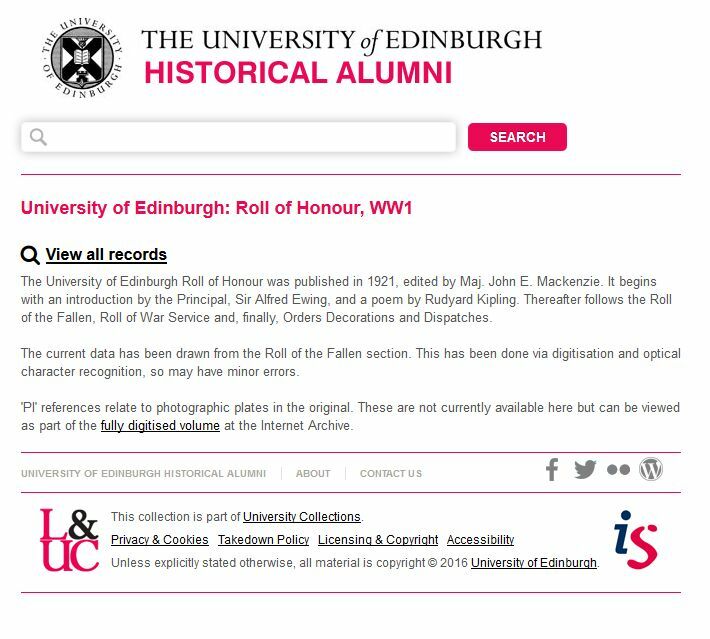 We are pleased to announce that the University’s Roll of the Fallen for the First World War is now searchable online. The volume has two principal sections. The first of these is the Roll of the Fallen, containing 944 names, with accompanying photographs for most entries. Thereafter follows the Roll of War Service, with details of around 700 individuals, not included in the previous section, who saw war service. There are also smaller lists for those mentioned in Dispatches and recipients of medals, decorations etc. For most of the individuals concerned, we will have the records of their studies. 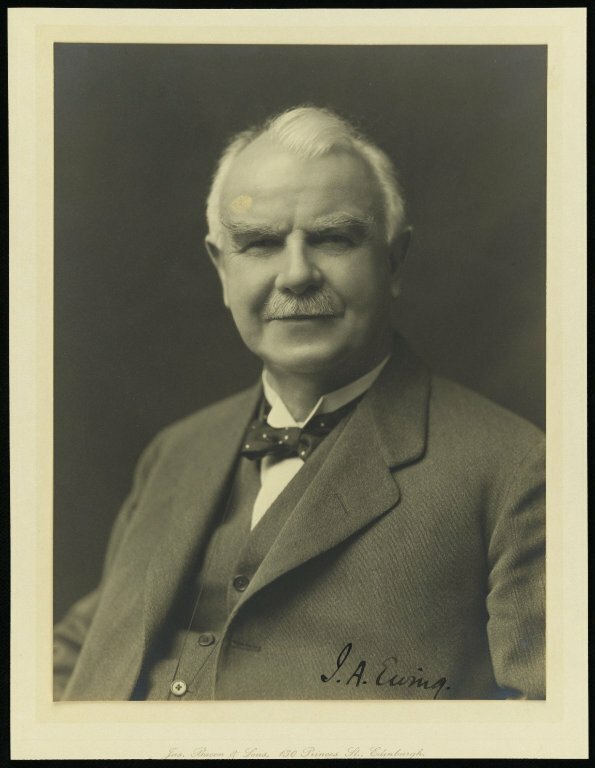 The list also includes members of staff and they too are likely to occur elsewhere in our archives. This entry was posted in Archives, Collections by Grant Buttars. Bookmark the permalink.